1. All students must remain in their classes assigned on the timetable, even if the student thinks that there is a course on their schedule that was not requested. 3. Students with incomplete timetables should come to Student Services during the blank period on their timetable. 4. Students wishing to inquire about a course change must see a guidance counsellor (stationed outside of Student Services) between classes or during lunch with their timetable in hand. 5. No changes in electives for grade 9 and 10 will be considered. 6. Any changes in grade 12 schedules will be based on pathways for graduation requirements and post secondary education. There is little room in many electives. 1. No student should leave class to come to Student Services unless he or she has a blank on their timetable, an appointment slip or has been called down on the intercom system. 2. Changes to your class/course roster refresh overnight in PowerSchool. 3. If you are new to this process, feel free to see us in Student Services. We will be happy to assist you. The deadline for high school course changes (9-12) is Wednesday, February 13, 2019. The deadline for grade 12 students to drop a course and not have it show on their transcript is Monday, April 29, 2019. Because of the two snow days that have taken place during our high school exam schedule, we posted a new exam schedule yesterday that required some students to write two exams in the same day. We heard from parents, students and educators who asked us to reconsider this new schedule. We thank you for sharing your concerns with us and have looked at other options for exam writing. All exams have now been rescheduled to January 25th, 28th, 29th and 30th. That is, all exams have been bumped by two days. - Exams that were originally scheduled for January 23rd will be written on January 25th. - Exams that were scheduled for January 24th will be written on January 28th. - Exams that were scheduled for January 25th will be written on January 29th. - Exams that were scheduled for January 28th will be written on January 30th (a scheduled PD Day). The exam schedules at all schools for all students will be affected (not just for school bus riders). OSTA will provide regular bus service on January 30th. We invite all parents and guardians within our All Saints School Community to join us at our School Council meeting this Monday, January 21st @ 7:00pm. We welcome new attendees - no commitment required! Parenting in Ottawa’s Facebook page is a great resource for parents. Every day a new topic is presented and a nurse is available to answer questions and private messages (during business hours). Jan.23 will be a day devoted to vaping. We realize this is an issue of concern for many parents and schools alike. This will be a great opportunity for parents and educators to engage with our guest with questions or to just simply join the conversation and gain new insights. The HOST Program is a local initiative that provides financial support each month, from September through June to hard working students living in difficult financial circumstances. Started as a modest program in 2010, the program has grown to 59 high schools over the years thanks to many donors who share our belief that a helping hand at the right moment can make a big difference in someone’s life. This school year, we will provide $1,000 awards to 89 students in 59 Ottawa high schools. By the end of this school year, the HOST Program will have given out over $403,000 to hard-working students living in difficult financial circumstances. This is a testimony to the generous and caring citizens and organizations in our community. Our goal is to help at least one boy and one girl in every high school, a current requirement of at least $118,000. All Saints High School directly benefits from the HOST program. If you are interested in supporting the HOST program, please review the information below. Know that with your kindness, 100% of your donation will go directly to help a student and you will receive a report in July that includes a financial statement and extracts from the students’ letters describing how the award has impacted their lives. Please visit the web site at www.HelpOurStudentsProgram.com. Lord, we pray for those who have been devastated by the recent bus tragedy in the Ottawa community. We think of those who have lost their lives so suddenly. We hold in our hearts the families forever changed by grief and loss. Bring them consolation and comfort. Surround them with our petitions for strength. Bless those who have survived and heal their memories of trauma and devastation. May they have the courage to face the days ahead. Help us to respond with generosity in prayer, in assistance, and in comfort to the best of our abilities. Keep our hearts focused on the needs of all in our community. We ask this in Jesus’ name. Amen. entering Grades 9-12 in September Thursday, January 17, 2019, 5:30 to 7:30 p.m. (doors open at 5:00). Please see the following poster for additional information. Last week we shared the details of the Board’s exam schedule and the implications of inclement weather should an issue arise. Please revisit this information as we approach our exam days on January 23rd to 28th. Students are encouraged to review the All Saints exam schedule (below) for a listing of all courses with exams. Grade 12 students are encouraged to visit our student services department/website to review information regarding the many scholarship opportunities available to students. A selection of available scholarships is listed below. The Nokia Future Tech Internship Program hires students to work at Nokia for the summer doing hands-on technical tasks with the company's engineering teams. This work experience is a paid position and they hire students who have just completed grade 11, who meet academic performance standards, and who are enrolled in at least two math/science courses in their upcoming grade 12 year. Representatives from the Nokia Future Tech Internship Program will be presenting information on February 13 from 11:10 to 11:50 am in our Learning Commons. To promote literacy and encourage the joy of reading, All Saints hosted its first readathon with 7 & 8 students in the Learning Commons. Upon arriving in the L.C. first thing in the morning on December 20th, students prepared cozy spots with blankets, cushions and pillows to do quiet, independent reading. Mid-morning, students participated in Literary & Learning Commons Bingo and were treated to hot chocolate and gingerbread men. Following a few rounds of bingo, students continued to read independently until lunch time and later participated in Literary Scavenger Hunt. In this game, students had to search for their “mystery” book following a set of clues which had been written by grade 11 English students. Once students had found their book, a personalized leather bookmark was hidden inside! The leather bookmarks, a keepsake of the readathon, were made by both the grade 10 Arts & Crafts class and Mme MacKinnon, teacher-librarian. Before heading home for the day, students watched book trailers of popular young adult fiction. The readathon was a tremendous success with students enjoying a day of reading and money being raised for resources and literacy initiatives in the L.C. You can read your favourite books … without interruption and noises. It’s also a great time to relax. I almost never have the time to read and relax; this was a great opportunity for me to do so. You get a whole day of reading for enjoyment. You can take time out of your day to just read. My favourite part was definitely reading for a long period of time because you don't normally get the chance to read for hours at a time. You get to read all day, the hot chocolate was good, we could spend time with friends, and it was a very peaceful environment. When you participate in a readathon, you are stimulating your brain, getting educated, and having fun all at the same time! It’s a time for 7/8 graders to get off their devices and enjoy reading. It was a fun day of getting to read and catch up on some of my books and it was a nice place to read without anything really going on around you. Engineering Outreach at the University of Ottawa is looking for high school students who are interested in teaching engineering/science to kids through our hands-on summer camps on-campus and/or in Alta Vista, Barrhaven, Kanata, or Orleans. Working hours: 8:30 a.m. - 4:30 p.m., occasionally 7:45 a.m. - 5:00 p.m.
After the success of last year's contest, we will be running the 2nd annual “Mayor For a Day Contest” from February 1st until February 28th, 2019. This contest is only open to Ottawa high school students in Grades 9-12. Participants are required to submit a 5 minute YouTube video or a 500 word essay on "What do you love about the City of Ottawa and what two ideas would you propose to improve it?" The two winners of last year's contest spent an exciting day with Mayor Watson, including being interviewed on CTV Morning Live, meeting Prime Minister Justin Trudeau and other VIPs at an Invest Ottawa event, and taking a ride on the new LRT. We hope to have another series of exciting events lined up for this year's winners! Please see the following poster for additional information. Please reach out to us if you have any questions about the contest. You can reach Emma Buchanan, Ottawa Youth Engagement Committee Coordinator, at oyec@youthottawa.ca. The driveway directly in front of All Saints is used for special transportation to pick up and drop off some of our higher needs students at All Saints School. It is also considered a Fire Route by Ottawa By-Law. There continues to be congestion in that area during peak periods in the morning, and at the end of the day. We recognize that some poorer weather days have resulted in parents using this area for drop offs and pick ups, however, we are continuing to ask our community to drop off or pick up students using the larger parking area to the east of the school. This expectation would be in place from 8:00 to 8:30am in the morning, and from 2:15 to 2:45pm in the afternoon. Continued adherence to this expectation will make the area directly in front of the school less congested and safer for our students. If you have any questions, please contact the school. We thank you in advance for your cooperation with this expectation. 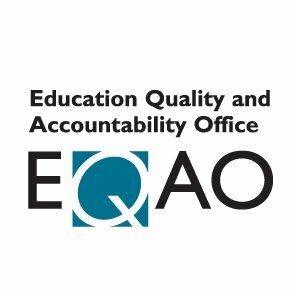 On Wednesday, January 16th and Thursday, January 17th all students currently enrolled in a grade 9 math class will be writing the EQAO Grade 9 Assessment of Mathematics. This is a provincewide assessment that contributes to the student’s final mathematics evaluation for grade 9. Math teachers and students have been working hard preparing for this assessment activity of grade level expectations. Attendance is a priority and students must arrive on time for their class. According to revised Ministry guidelines, all students can be granted additional time if required. Good luck to our grade nines! Isobel is at St. Gabriel’s Elementary School. Her daily tasks include reading to the children, answering any questions they have, helping understand and complete tasks, and most importantly working one on one with the students who may have learning setbacks that require more focused attention, ensuring they get the best care and understanding they deserve. The Catholic Character Virtue she displays each day is Community. She learned that Inclusion, Respect, Unity in Diversity, Being Welcoming, and Cooperation are important roles that a teacher must demonstrate. It is important to celebrate our individuality so the kids grow to be inclusive and respect those around them, cooperating as a team so they know its okay to ask for help, and overall being the community that welcomes others before turning them away. Loving everyone for who they are. The things that she enjoys the most about her placement is to focus on the positive aspects of the placement. This includes seeing the smile on the students faces when they welcome me into the classroom and hug me when I leave. I can see the impact I make on the students lives and how just being in the classroom available to them makes not only their jobs easier, but visible reduces the stress of my employer. My employer is another aspect I love about my workplace, we both together make an amazing team and I am so honoured to have gotten the opportunity to work with such amazing people. I would like to wish our entire All Saints Community a happy start to 2019, and all the best in the new year. As January progresses, our Grade 9-12 students will continue to work on summative tasks in classes, with exams running from January 23rd to 28th. Term one report cards for our 7&8 students will be distributed in mid-February. Finally, a reminder that our School Council meeting for January is on the 21st at 7:00. Please join us! Be sure to scroll down to the bottom of the blog to check out the school calendar with additional dates. The driveway directly in front of All Saints is used for special transportation to pick up and drop off some of our higher needs students at All Saints School. It is also considered a Fire Route by Ottawa By-Law. There continues to be congestion in that area during peak periods in the morning, and at the end of the day. We recognize that some poorer weather days have resulted in parents using this area for drop offs and pick ups, however, we are continuing to ask our community to drop off or pick up students using the larger parking area to the east of the school. This expectation would be in place from 8:00 to 8:30am in the morning, and from 2:15 to 2:45pm in the afternoon. Continued adherence to this expectation will make the area directly in front of the school less congested and safer for our students. If you have any questions, please contact the school. In the event of a “snow day” where yellow school bus transportation is cancelled during the high school exam period, the missed exam will be written the following day. All other exams will be bumped by one day and the last exam, scheduled for Monday, January 28th will be written on Tuesday, January 29th. During a snow day, the school will be open, but exams will not be written. If you have any questions, please contact the main office. As part of student assessment and evaluation, the Ministry of Education stipulates that courses (grades 9-12) contain a formal Rich Summative Task or Assessment as part of the summative evaluation of a semester’s work. This RST is “An authentic activity, exercise, problem, or challenge that requires students to show what they know and what they can do. Performance tasks lead students to demonstrate their understanding by applying knowledge and skills to real-life situations or scenarios. Performance tasks usually address all four categories of the achievement chart and multiple overall curriculum expectations and provide flexibility in how students can demonstrate their learning” (Ontario Ministry of Education, Growing Success p. 153). As part of this expected component of classroom evaluation, RST dates are made clear to students as part of the course expectations. As with final exams, RST dates are communicated with students ahead of time, and the expectation is that all students schedule outside appointments and other activities around these dates. For further information, please contact your child’s teacher. Justin Winford is a grade 11 student who is doing his Co-op placement in the Optical Lab at Nokia. He is also part of the ICT SHSM. The Catholic Value he is able to demonstrate is hope. He commented “I have set goals for myself to achieve the expectations of my supervisor and have committed to the work that I am doing rather than slacking off and not doing what is told.